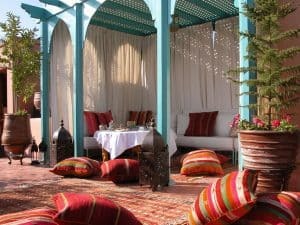 If you’ve snapped up one of the cheap flights to Marrakech with your sweetheart it’s time to start searching Marrakech hotels. Choosing where to stay in Marrakech is no small feat. With nearly 1000 riads plus even more hotels and Marrakech resorts where do you even begin? 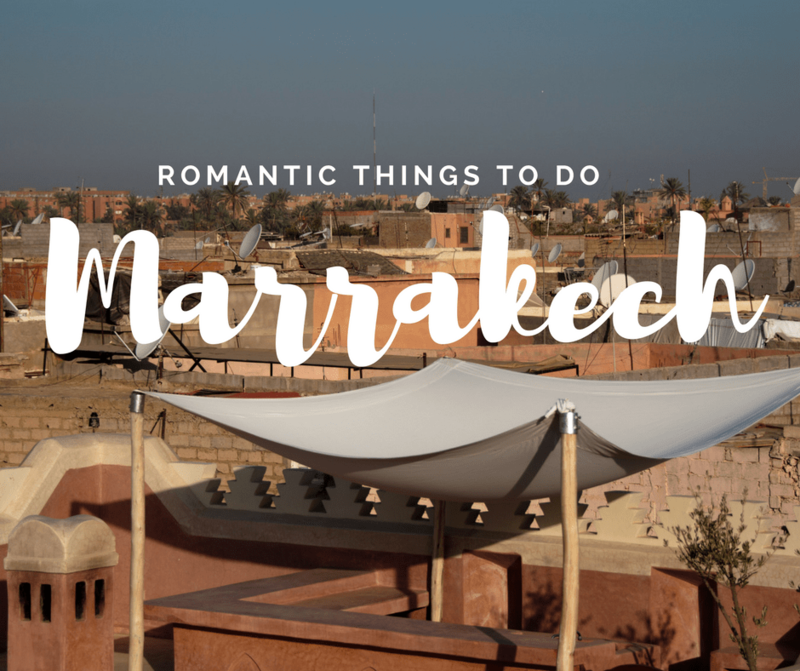 For couples planning a Marrakech honeymoon or simply just a nice stay I’ve put together some suggestions that will help you decide where to stay in Marrakech. riads – traditional Moroccan homes, similar to a bed and breakfast. hostels – for those on a budget that don’t mind shared accommodation (some have private rooms). all-inclusive hotels/resorts – hotels that include food and sometimes beverages as well as entertainment in room costs. 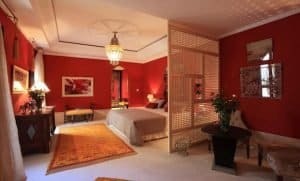 Where is the best area to stay in Marrakech? This really depends on the experience you want. I’d even go so far as to say there is no single best area. It may help to understand the major areas of Marrakech when making your choice. Medina means city in Arabic but in Morocco it’s used to refer to the area of the city within the walls of the old parts of the city. This is a large area. It’s also where most tourists tend to be. Within the medina it is divided into neighborhoods. Most riads are located within the medina. 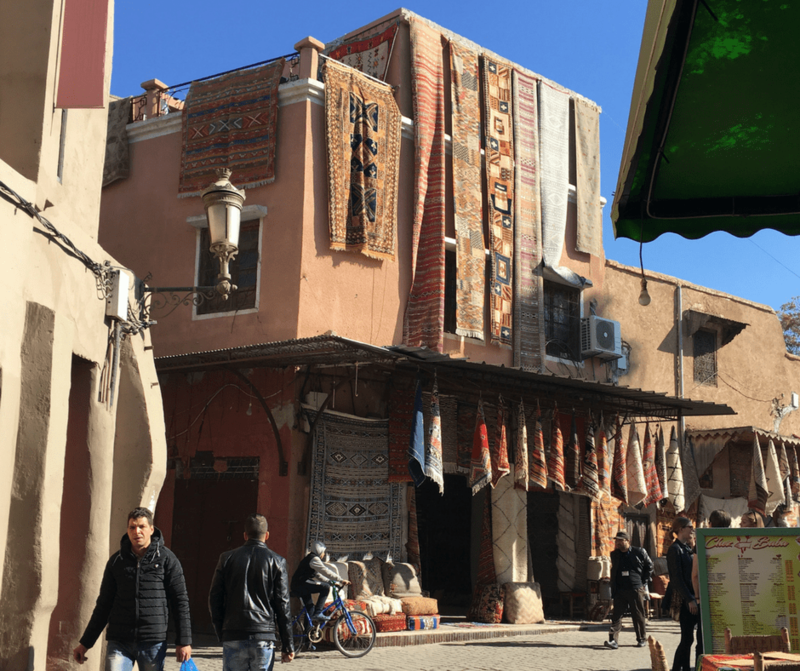 There are thousands of Moroccans that also call the medina home and so it is an area that is a mix of residential homes, commerce, shops, workshops, tourist attractions, restaurants and more. I have often heard from people that they choose to stay outside of the medina because it is so busy. I would encourage you to rethink this. While the outside streets may be busy, once you are inside a riad you will find it to be a completely different experience. Staying in the medina also means you won’t need to use taxis or other transportation to reach the majority of things you may want to do. One of the negatives of staying in the medina is that it is car free so you will need to walk, so if you have mobility issues it can be difficult. Also the streets are very much like a maze so it is likely you’ll get lost a few times. 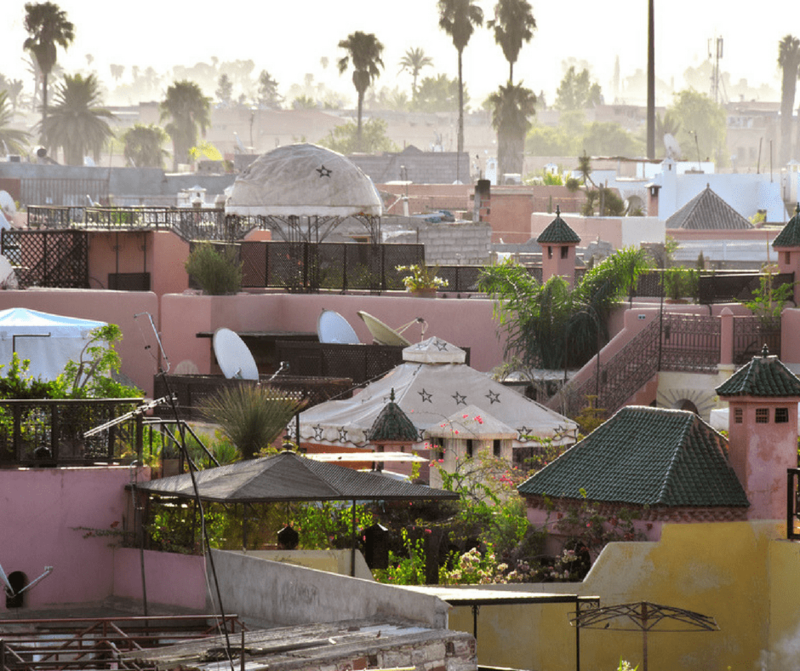 The neighborhoods of Gueliz and Hivernage are two of the most popular for those wanting to stay outside of the medina but still within the city. In these areas you will find much of Marrakech nightlife happens. There are many large hotels in these areas. You may feel like you are in any other city in the world if you stay here. In Hivernage you’ll find a casino, nightclubs and restaurants. In Gueliz there are many shops with global brands, restaurants and boutique shops. Both of these areas are still relatively close to the medina so you may be able to walk around, though taxis are plentiful if you prefer. Marrakech was actually built in part because of this natural palm oasis. Today this area is on the edge of the city. Many large resorts, all-inclusive resorts, and a few golf courses can be found here. If you don’t plan to go into the city center often, then it might be a good idea to consider this neighborhood. However, if you do plan to visit the city center look into whether the hotel offers a shuttle or know you will pay about 200 dirham each way to reach the city center and that the trip is between 20-40 minutes depending on traffic. Numerous resorts and hotels are located outside the city. However many will list that they are “in” Marrakech. This is something you should pay attention to. In the address it will be listed as something like Kilometer 23 route de Ourika, Marrakech – this means the hotel is 23 kilometers outside Marrakech on the road to Ourika. Just like with staying in the Palmeraie this may not be an issue for you, you may even choose it but it’s not a great surprise to discover if you thought you were actually staying IN the city. This is just a quick breakdown of some of the major areas that people stay in. Hopefully it can help you narrow down the area where you want to stay. Often times riads are referred to as a boutique hotel. 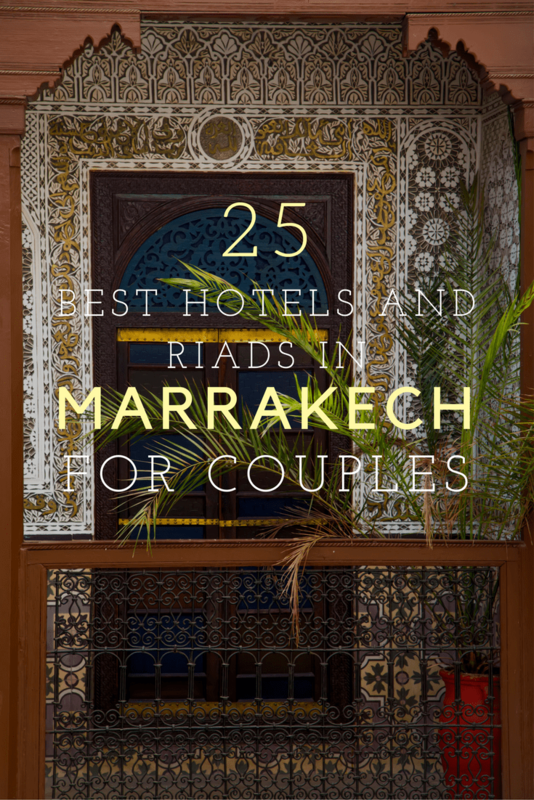 This often means the riad has more rooms than the average. A normal riad has 3-6 rooms. It was once a private family home that has been made into a guest house. A boutique hotel in Marrakech often has 10-15 rooms. Sometimes this can mean it was two riads that were combined to create one space. Here are my suggestions for this type of accommodation. 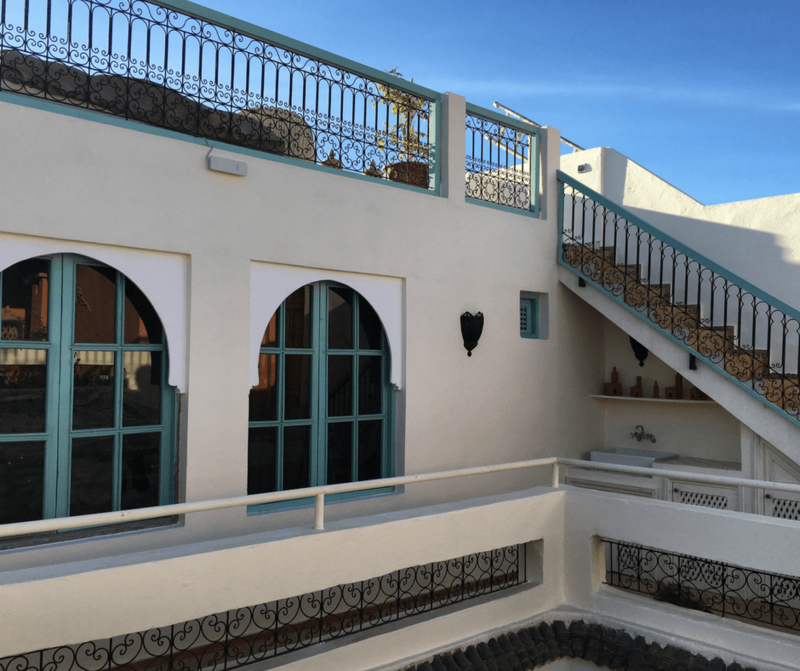 This riad has been gorgeously restored and you’ll feel like you’ve stepped back in time. The art deco feel, white decor and plenty of lush greenery immediately sets the tone for secluded hideaway vacation. 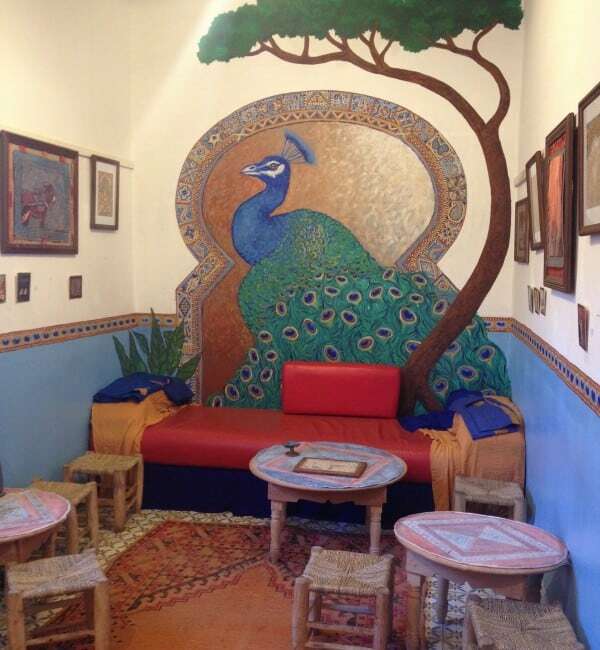 This riad is in the Dar el Bacha neighborhood and very easy to access. 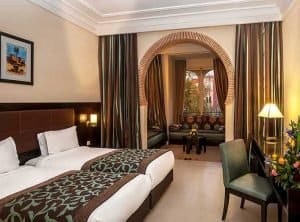 This is the smallest five star hotel in Marrakech and a lovely boutique hotel with 28 rooms and suites onsite. You’ll relax in complete comfort with king size beds and a stocked mini fridge. The swimming pool is heated and a full spa can help you relax. La Sultana is in the kasbah neighborhood of Marrakech. This Marrakech boutique hotel has 37 rooms or suites along with 8 private pools and a large heated swimming pool that is open to all guests. It’s the largest boutique hotel on the list and I’m including it because of it’s lovely gardens, hidden location and and great amenities. If you want to run away with your sweetheart it’s a good place to run! Les Deux Tours is in the Palmeraie area of Marrakech. This small hotel has been open since 1946 and has a great reputation in the city. There are 26 rooms and suites with private entrances as well as 3 onsite restaurants. The cooking school is one of the best in the city. Located in the medina neighborhood you can spend time relaxing onsite or easily venture out and be right in the middle of the action. Outside the city you’ll find Ksar Char-Bagh. You won’t just find hotel rooms here, each room or suite is spacious – an apartment to yourself, with multiple sizes and amenities available. It has won several awards and you’re sure to feel like royalty if you decide to stay here. This hotel is in the Palmeraie neighborhood of Marrakech. You want the riad experience but luxury too. 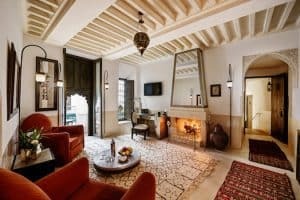 These five luxury Marrakech riads will give you just that! 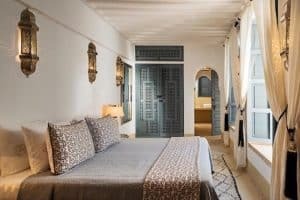 This beautiful 18th century riad is a gem in the medina of Marrakech. Eleven rooms and suites are available to rent and the onsite restaurant is known for their attention to preparing traditional Moroccan dishes in a beautiful way. Translated to “House of the Storks” Dar Les Cigognes is conveniently located near the Badi Palace and Mellah. Relax in your room and enjoy a hammam or massage onsite. Eleven rooms and suites are available with different amenities. You can also participate in their very well-known private cooking classes. Ten suites make up Riad Farnatchi, each with handmade beds and Egyptian cotton linens. Relax in the common areas or enjoy a meal in one of the dining rooms. 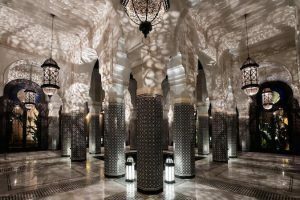 It also boasts what might be considered one of the best spas in Marrakech. You can visit Le Trou au Mur, part of the Farnatchi family and conveniently located just across the street. With only five rooms but plenty of space you’ll feel like you’ve got the place to yourself. This riad has been tastefully decorated with some elements that were acquired from the collections of famous Marrakech based designers Bill Willis and Yves St. Laurent. 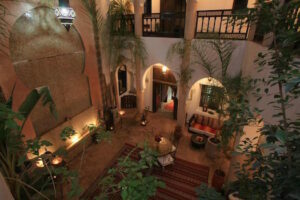 This riad is truly luxurious and would be a special experience for anyone visiting. Here you’ll experience a mix of Moroccan design and Italian style. Seven rooms make up Riad Joya each with a different style and aesthetic. An onsite butler will ensure that all of your needs are catered for and can assist with booking anything you would require outside of the riad. 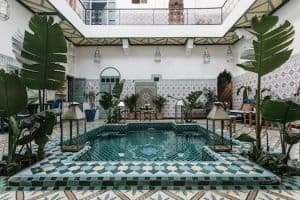 These five riads might be some of the best riads in Marrakech if you are seeking luxury and comfort but are on a bit more of a budget. You’ll have a personal, relaxed and romantic experience at a price that won’t leave you crying when you get home! 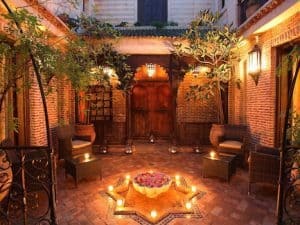 If you want to spend your time in Marrakech in the heart of the medina this is the place to stay. With just six rooms you’ll feel relaxed and get all the personal attention you want. Take a cooking class together or enjoy a meal on the rooftop, they’ll help arrange what your heart desires. Light and airy are the words to best describe Riad Adore. It’s tastefully decorated ten bedrooms are luxurious and welcoming. Antique kaftans (traditional Moroccan women’s dresses) are used in each of the rooms as decorative pieces. For book lovers spending time in their beautiful library must be added to your to-do list. Amazigh (Berber) for “Land of God” is what Mur Akush means. 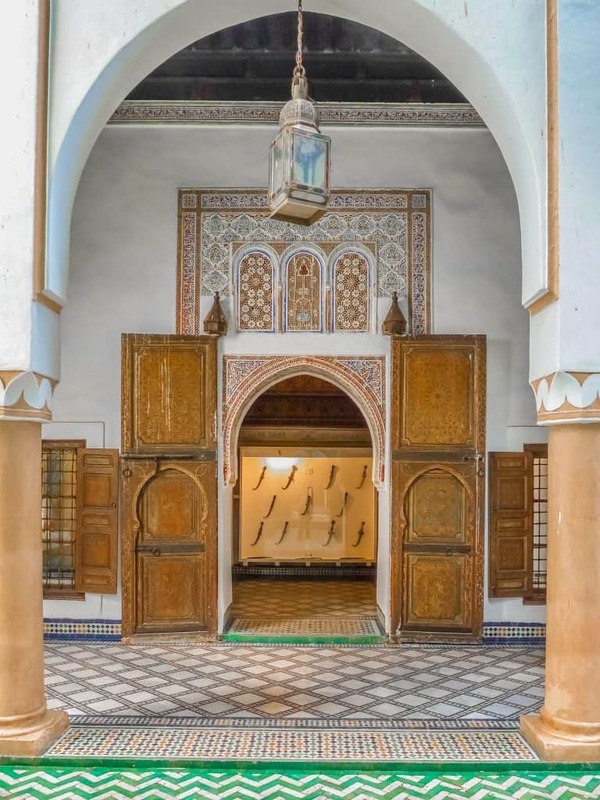 Inside the doors you’ll find this 300+ year old home has been restored with attention paid to reviving the traditional Moroccan details. Six luxury suites are available in different configurations, two of which include fireplaces. 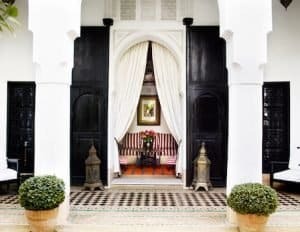 I purposely left off some of the more well-known luxury hotels like La Mamounia or The Royal Mansour as they’re on everyone’s radar. 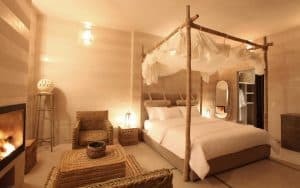 Instead I’ve chosen five others to show you the best luxury hotels in Marrakech. Here you’ll find five star luxury amenities at a still affordable price. The property is surrounded by palm and olive trees giving it the feel of seclusion just outside the city. Every room has a balcony overlooking the gardens. For guests that have reduced mobility there are accessible rooms and amenities available. I included this globally known brand because it’s Marrakech location is truly lovely. Book into one of their villas where you’ll have complete privacy including your own swimming pool. You can also use any of their onsite amenities. Eat at least one meal at signature restaurant Mes’lalla to enjoy traditional Moroccan flavors in a modern way. 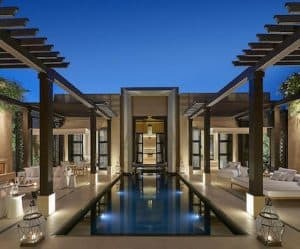 Most 5-star luxury hotels in Marrakech are located outside the city – not this one! You’ll be situated right in the heart of the city but with lush gardens and relais et châteaux status you’ll feel like you’re miles away. Gorgeous rooms and suites have a modern feel with traditional Moroccan elements. One of the most unique features of this five star property is the stable of thoroughbred Arabian horses that could be considered the mascots of the hotel. Each room is deliciously decorated, and the signature experiences offered will make any guest feel like a VIP. This sprawling property includes hundreds of hectares of gardens, an 18-hole golf course, a 3,500sqm spa, and six restaurants. Each of the 134 rooms, suites and villas offer views of the Atlas Mountains and surrounding gardens. 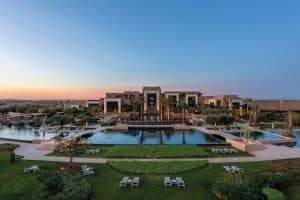 For those travelers who would rather everything taken care of for them, there’s the option of all-inclusive resorts in Marrakech. These resorts are outside the city center but many have transportation options. While you can book in as a private guest, many are also part of the networks of traveler operators such as TUI vacations. This property is large, with over 200 rooms in various categories and configurations. Guests have complimentary access to the waterpark and for an additional fee the 1600 sqm spa. The buffet restaurants are available with the all inclusive plan for breakfast, lunch and dinner as well as complimentary drinks and snacks at the onsite bars. Twenty minutes from the center of Marrakech you’ll find Club Marmara. The 432 rooms are spread amongst the 10 hectares of gardens and pools. One main buffet restaurant and two ala carte restaurants are available. There’s also live entertainment and activities planned throughout the days. Of the all-inclusive options this one is one of my favorites. Two hundred and fifty deluxe rooms are complete with modern amenities and a hotel feel. Each room has a balcony and all inclusive guests have access to onsite restaurants and bars throughout their stay. A shuttle bus will get you to and from the city center – just a very short drive away. While many all-inclusives cater to families, this hotel is an adults only property. It’s also located in the heart of the city so you won’t need to worry about getting around. Wander the gardens or swim in the pool. Choose from eating onsite or find the city at your fingertips just by stepping outside the doors. This property is big, with 500+ rooms but there is plenty to do so that you won’t feel like you’re in a crowded amusement park. Multiple restaurants, pools and plenty of entertainment and activities will keep you busy. 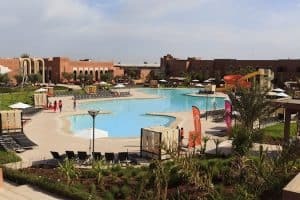 Guests have free access to the waterpark and shuttle to the city center of Marrakech. Once you’ve booked your stay what will you plan to do next? I’ve put together a list of romantic things couples can do on any budget. Pick and choose a few options to complete your stay! 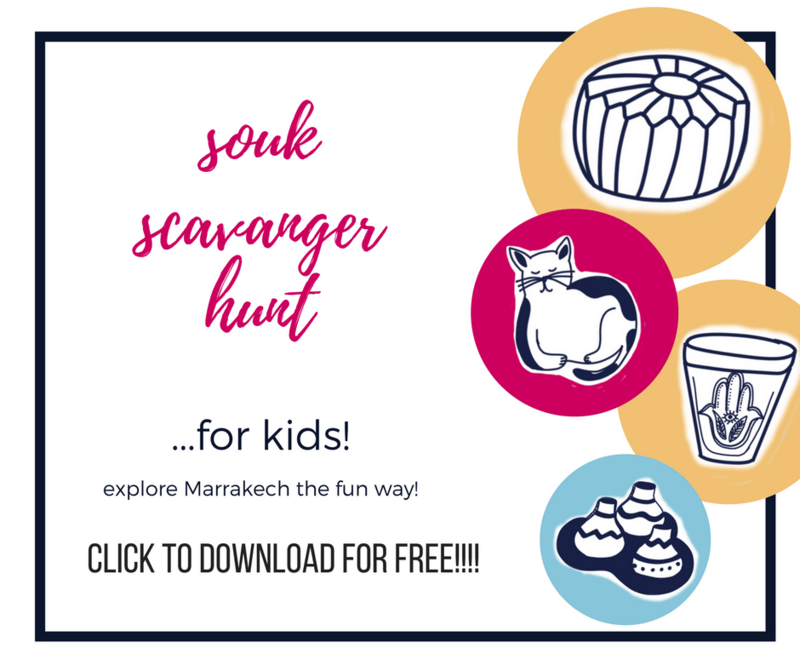 Whether you’re visiting Marrakech with kids or you call the city home, there’s a good chance you’ll be looking for things to do! We’re lucky to have endless days of sunshine every year so rainy days don’t put a damper on things in Marrakech. You can easily find information about the major tourist sites in Marrakech; Jemma el Fna, Bahia Palace, Majorelle Garden but what else is there to do? Don’t worry, I’ve got you covered. This list is not meant to be exhaustive and I will continue to update it as I find new things worth including. The short answer to this is yes, Morocco is safe. Unlike many countries in the region, Morocco has experienced very little turmoil in recent years. As with many large cities there is some pickpocketing and petty theft. It’s always best to keep your wits about you and be alert. That being said, when traveling with kids people typically face fewer issues. Is Marrakech good for families? Yes! I say it a lot but visiting Morocco in general is a great idea for families and honestly, I truly believe you’ll have a better time if you visit with your kids. Moroccans have a family-oriented culture. 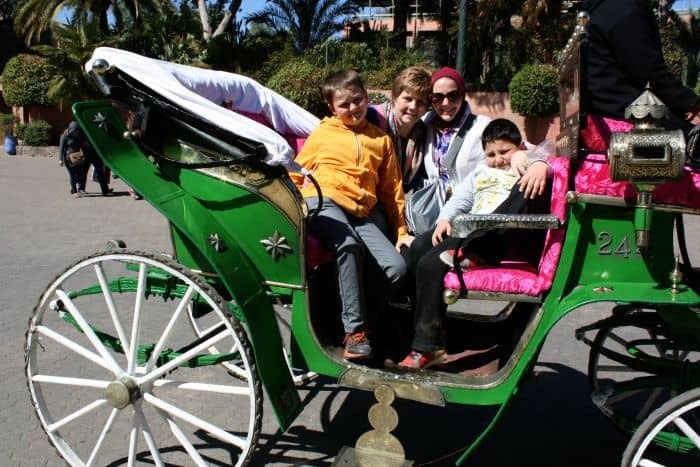 They love children and will open up to you a lot more if you’re visiting Morocco with kids. 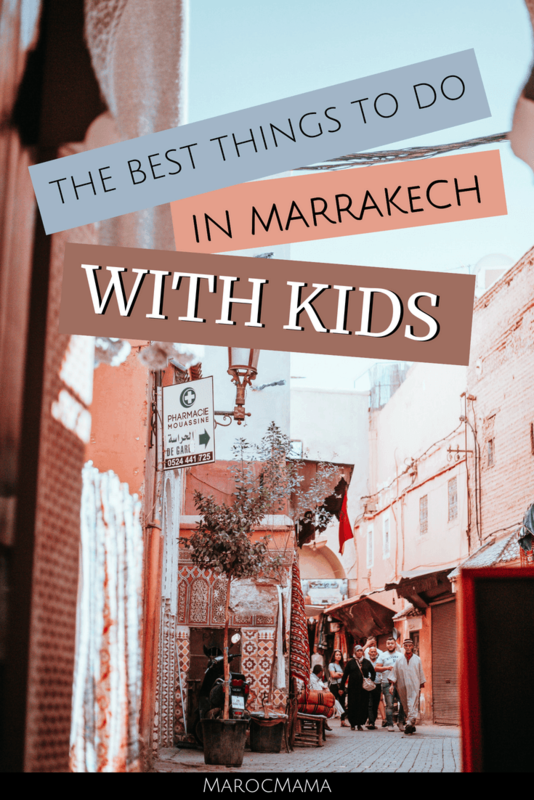 Traveling in Marrakech is also pretty easy given that lots of the areas you’ll be are flat and easy to navigate by foot and with little ones in tow. Traveling with a baby is a challenge but you will face most of the same challenges whether you visit Marrakech or any other city in the world. All of the items that babies need is readily available. Moroccans LOVE babies (they love all children) and will go out of their way to help you. To get around bring the smallest stroller possible and/or a wrap to carry the baby. 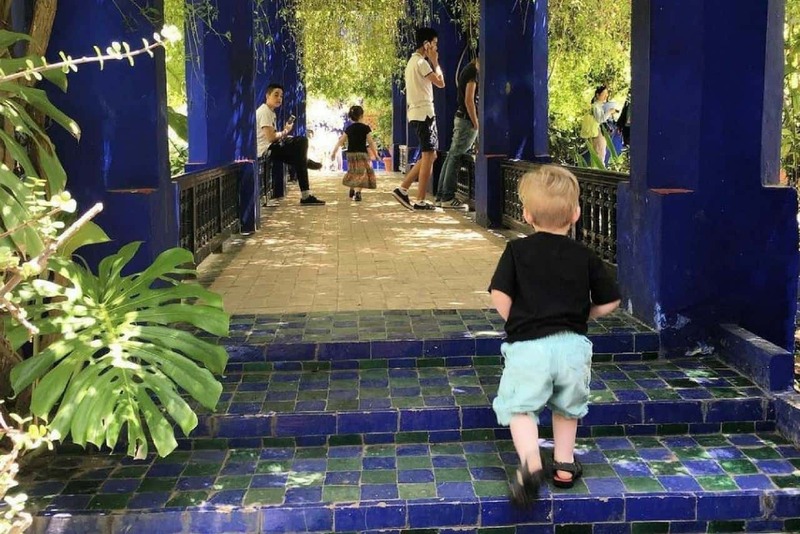 The best time of year to visit Morocco with kids is in the fall and spring. March, April, October and November are some of the nicest times to visit however, any time aside from summer (June-August) is pleasant. You may want to avoid visiting during the month of Ramadan (check as it changes yearly) as everything operates on an alternative schedule. 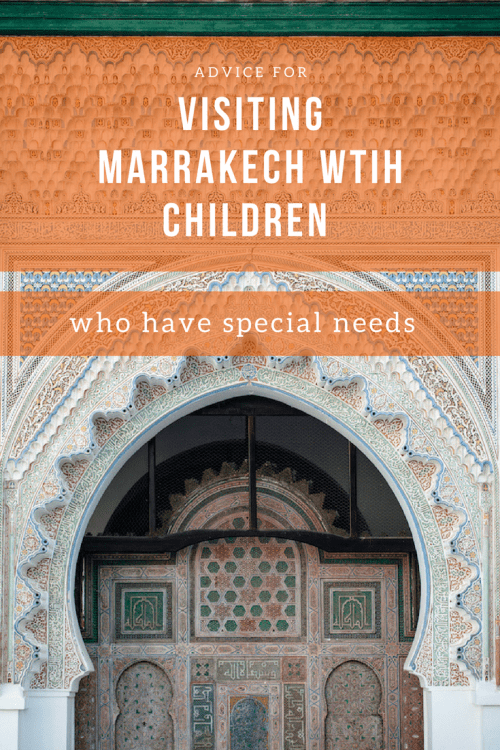 Where to stay with kids in Marrakech? 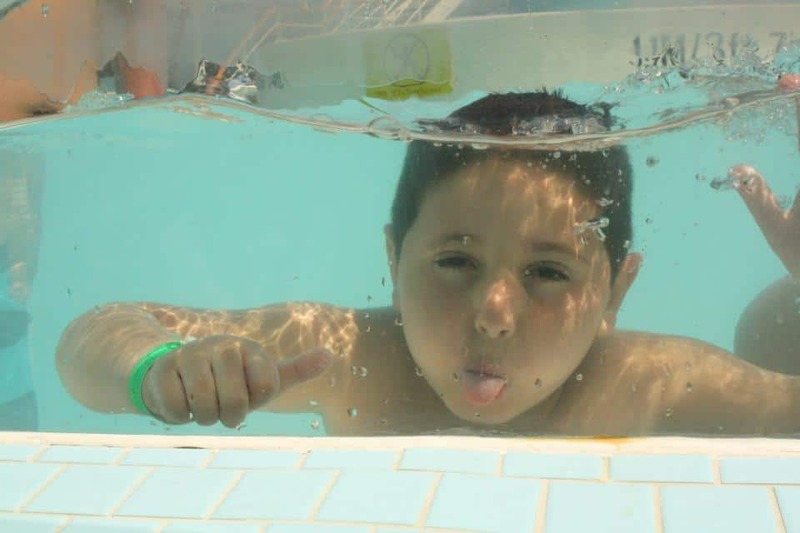 Check out this list of child friendly hotels in Marrakech. 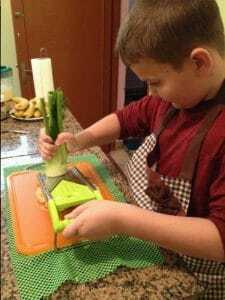 A great way to introduce kids to new kinds of food is to get them hands-on experience. There are several cooking courses in Marrakech but not all are suitable for children. You’ll want to double check age requirements with anywhere you decide to book. The Amal Women’s Center is one of my favorite places to do classes with kids. You can also ask at your riad if they offer private classes for your family. Do you want to do something that provides a little educational enrichment? 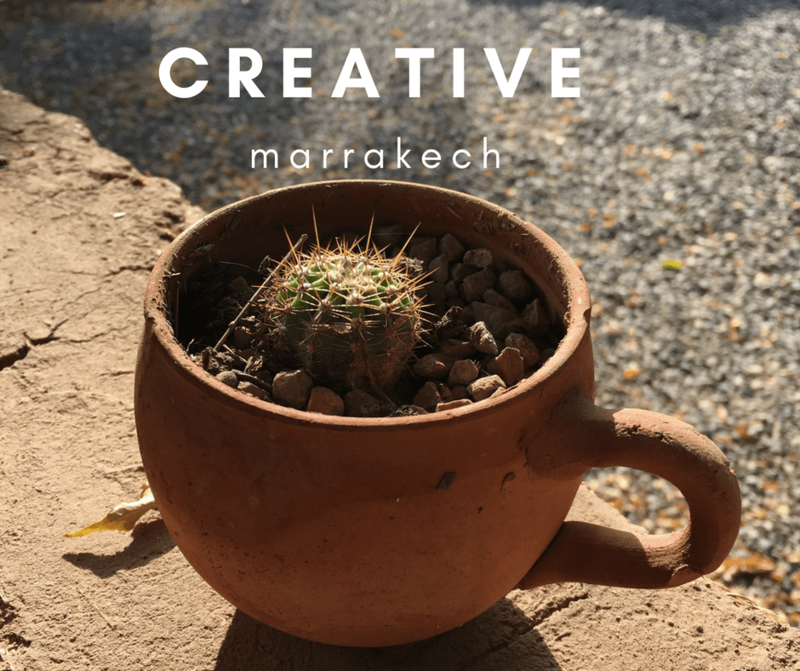 Creative Interactions offers language and culture courses for visitors (both short and long-term) to Marrakech. They have courses that will teach you basic Moroccan Arabic and longer courses that are several weeks long. One thing that is sorely missing in Marrakech are playgrounds but, there’s no shortage of gardens. Keep in mind gardens are meant for walking on the paths and not walking or playing in the grass. There are often guardians who will come and remind you not to go on the grass. Harti Jardin in Gueliz is a nice park to go for a walk or scooter ride with children thanks to lots of different paths and usually few people. The Cyber Park is another garden that can make for a good walk. It’s located very close to the Kotoubia mosque. 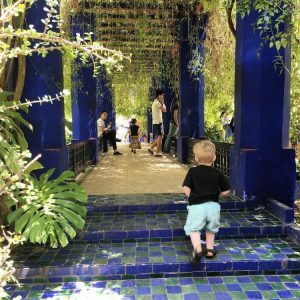 If you’re looking for things to do in Marrakech with toddlers these might fit the bill. There are two small amusement parks in Marrakech that are targeted towards younger children (under 12); Ludipark and Paloozaland. Both are on the edges of the city and do require a vehicle to access. At Ludipark you’ll find bouncy castles, pony rides, a mini zoo, and an aquapark. Paloozaland is based on a dinosaur theme and has several rides for kids, a 6D cinema, swimming pool, and live shows. This sounds a little strange but most gas stations in Marrakech (and Morocco) have play areas for kids. Some are larger than others. They also have attached restaurants that really do have good Moroccan food. 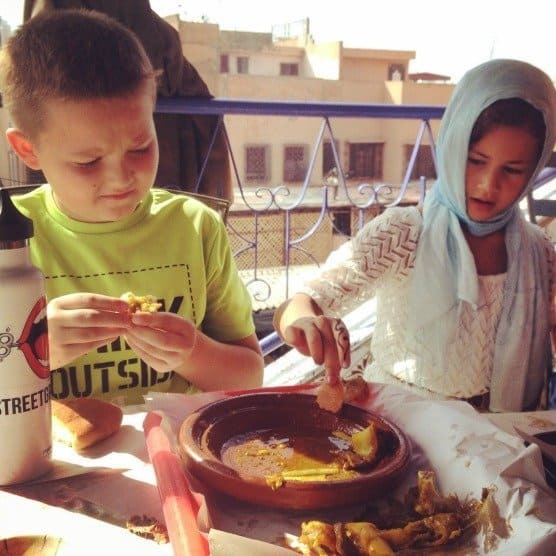 Bring the kids to play and enjoy a tajine while they run off some energy! Do your kids love a thrill? An amazing, albeit pricy experience to have in Marrakech is a hot air balloon ride. Children do need to be at least five years old. People always ask where to go to ride camels in the desert. It’s worth noting Marrakech isn’t in the Sahara Desert and there’s nowhere near the city where you can see rolling sand dunes. But, you can still ride a camel. There are always camels near the Menara Gardens that adults or kids can ride, as well as ponies that children can ride. Another location to ride camels is in the Palmeraie. This is a little more “desert” like. You can take a taxi to this area or arrange a ride with your riad or hotel. Typically it should cost no more than 200 dirham per person for a ride, and can be less if you’re good at bargaining! More info on where to ride a camel in Marrakech here! Recently we tried out the kart racing at the Moulay Hassan racetrack on the edge of Marrakech. It’s a really fun activity for older kids (and adults!) You pay by the race and there are two different types of karts available to race. Marrakech Kart Racing – on the route to Ourika just past al-Mazar shopping center. My kids LOVE laser tag and it’s fun for them to go on days when they can’t be outside. It’s also really fun for birthday parties! Lasergames is on the route de Amizmiz. There are several different bowling alleys in Marrakech that you can visit. It’s always a good activity for days that are too hot or if there is rain. Moroccans do tea well! Why not have a tea party? There are a few different ways you can do this. 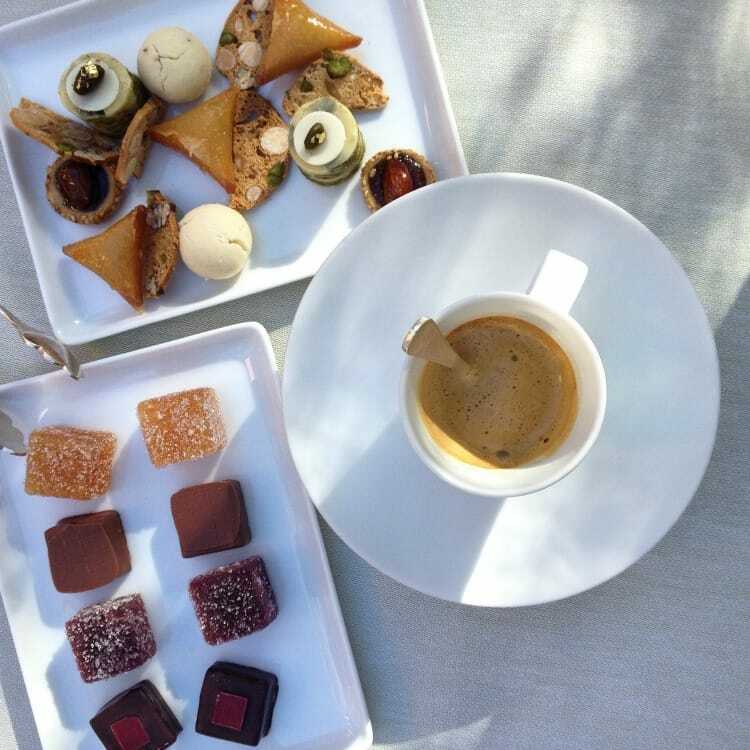 The Royal Mansour offers an afternoon teatime that you can enjoy for 350dirham a person. But if you want a less expensive experience visit one of the many cafes in the city. Order a plate of cookies – choose the ones you like, and a pot of tea to enjoy. I really like Amandine and Les Maitres du Pain for good quality pastries that’s still affordable. If you have older kids that are confident on bicycles why not rent a bike and go for a spin. There are stations around the city that have bikes available for rent. Medina Bike is the first bike sharing program in Africa. Register online, choose a plan, and check out your bike! There are numerous spots around the city to pick up and drop off bikes. Everyone needs a henna tattoo in Marrakech! 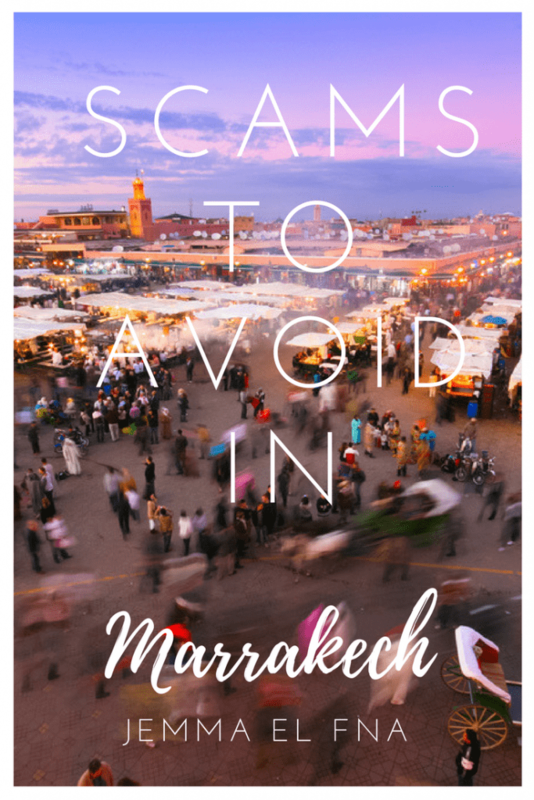 Avoid the ladies in the square (need to know how – here’s my advice) and head to Marrakech Henna Art Cafe. All of the henna is natural and safe. You choose the design and know the price upfront. While normally henna is done by women, my boys love getting a little scorpion done! Waky Marrakech is a wakeboarding experience outside the city on an artificial lake. Perfect for older kids and teens! Chez Ali is a fantasia show that includes dinner. It’s been in operation for many years and gets mixed reviews. 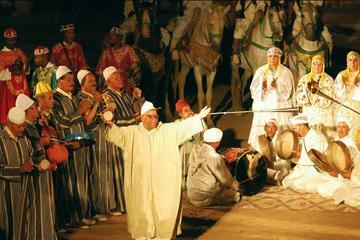 See a traditional performance with horse riders, music and full Moroccan buffet. It can be a late evening with the program concluding near midnight. Have you ever tried geocaching? 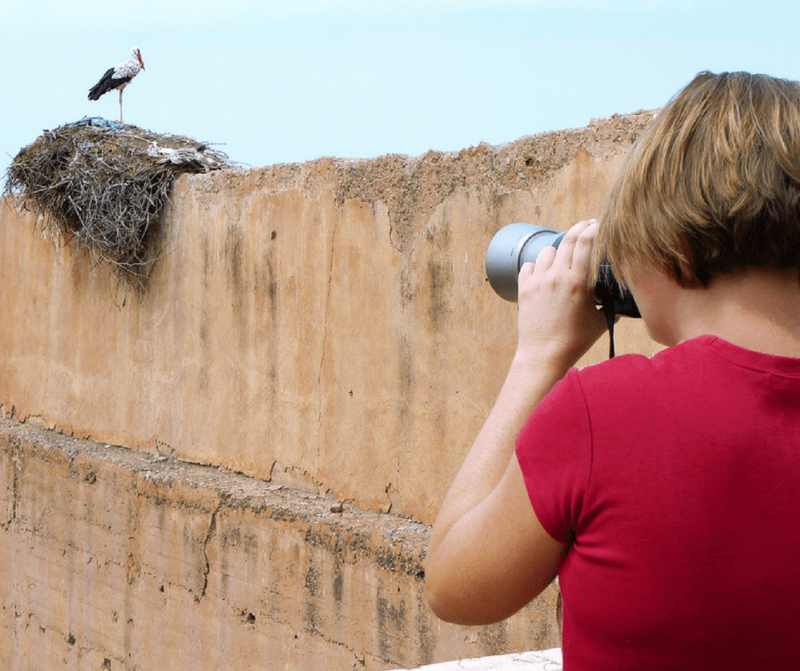 There are several spots throughout Marrakech that have caches. This is a fun way to spend time and explore the city! 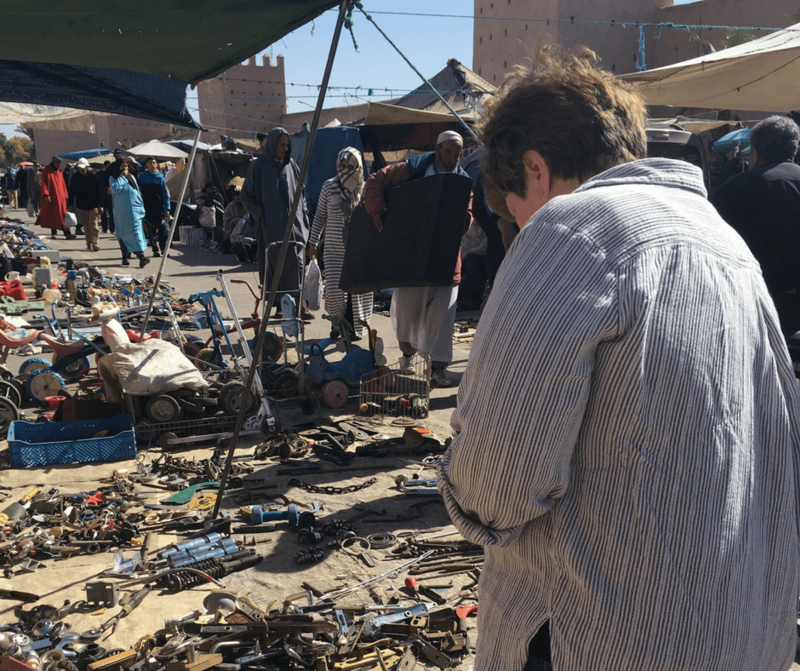 High Tech Treasure Hunting in Marrakech. There are several movie theaters in Marrakech. The largest is Megarama that shows 8 different movies. The Colisee Theatre in Gueliz occasionally plays English movies on Friday nights. Most films are shown in either French or Arabic. There are a few indoor play areas in Marrakech for younger kids. Kawkab Jeaux in the Harti neighborhood (near Harti Jardin) is one. At the al-Mazar mall there is another one – it’s across from a bowling alley as well. Both have activities for kids but can be crowded especially on the weekends. Cafe Clock hosts storytelling in Arabic and English on Thursday nights at 7pm. Wednesday nights there are jam sessions with local musicians and on Sundays there is a Gnaoua performance. Any night you show up, chances are there’s something going on! Order a milkshake too – your kids will thank you. 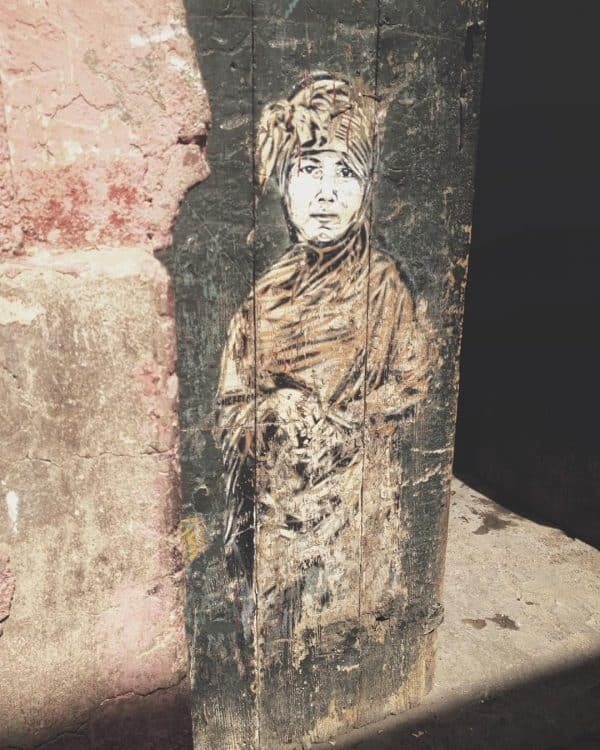 Marrakech never had large scale professional, commissioned street art until 2016. Now it can be found throughout the medina. It’s still a bit controversial given the medina itself is a UNESCO world heritage site. But, if you’re an art lover, why not make it a game for the kids? 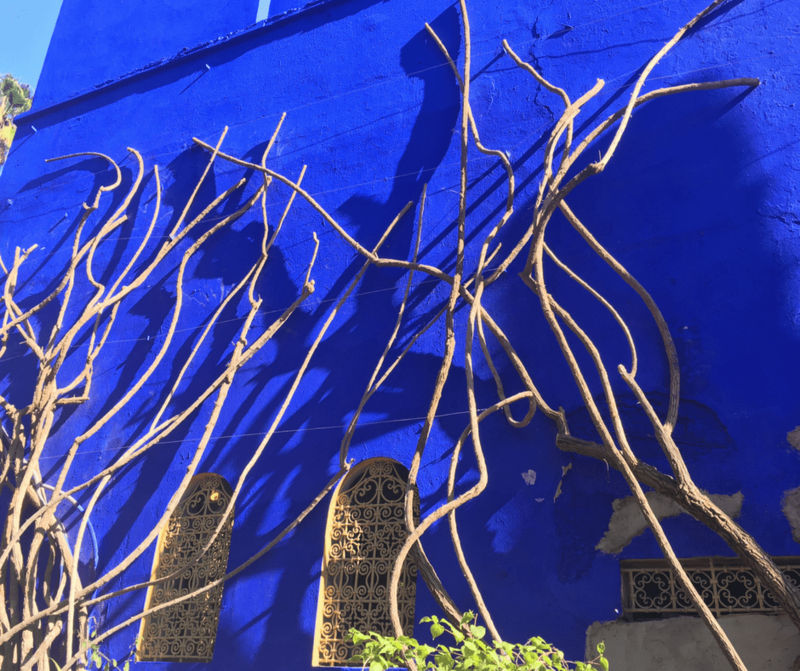 Wander the medina and seek out the installations. Just recently some new paintings went up adding to the collection. You won’t be able to escape the carriages – they’re everywhere! 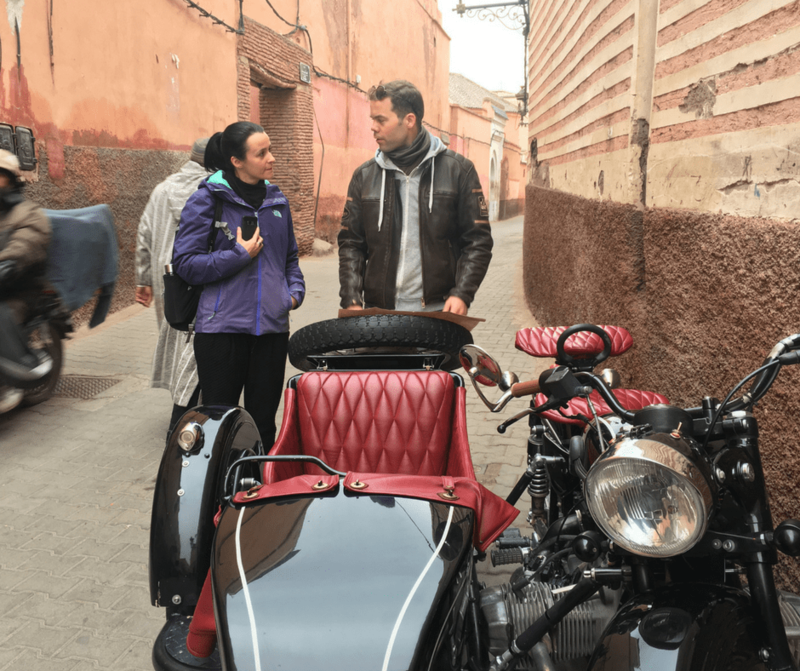 If you’d like to see Marrakech by 4 wheels you can. You’ll want to negotiate the rate ahead of time. I suggest going through the old city vs. new city route. Rates typically are 200-250dh for an hour but like most things in Marrakech – it’s negotiable. Go to a patisserie and order a few of each kind of cookie and then rate them! Find out which ones your family likes best – even better with a pot of tea on the side! Mom and dad want to shop but the kids aren’t having it? I’ve created something to keep them happy. Print off this scavenger hunt ahead of time and have them searching for these items while you browse the souks! The scavenger hunt is pictorial for little kids but with more specific items to seek out for older kids. These day trips from Marrakech are fun for kids and parents. Most can be easily done in a day, while others require a little more travel time and might be better for families with older kids. 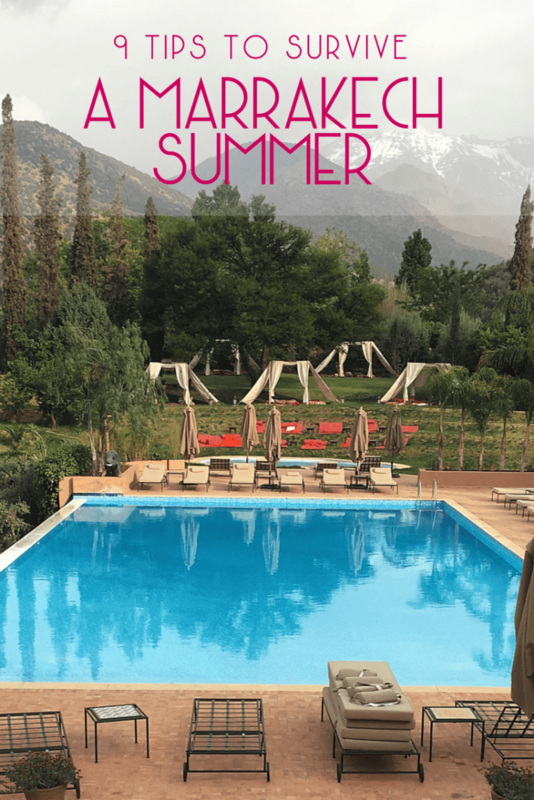 Just forty-five minutes from Marrakech is Terres d’Amanar a great hotel and zipline park. There are activities for little kids through adults. You can stay overnight or just come for a day visit. The onsite restaurant is good and in warm months they have a pool/lunch option! 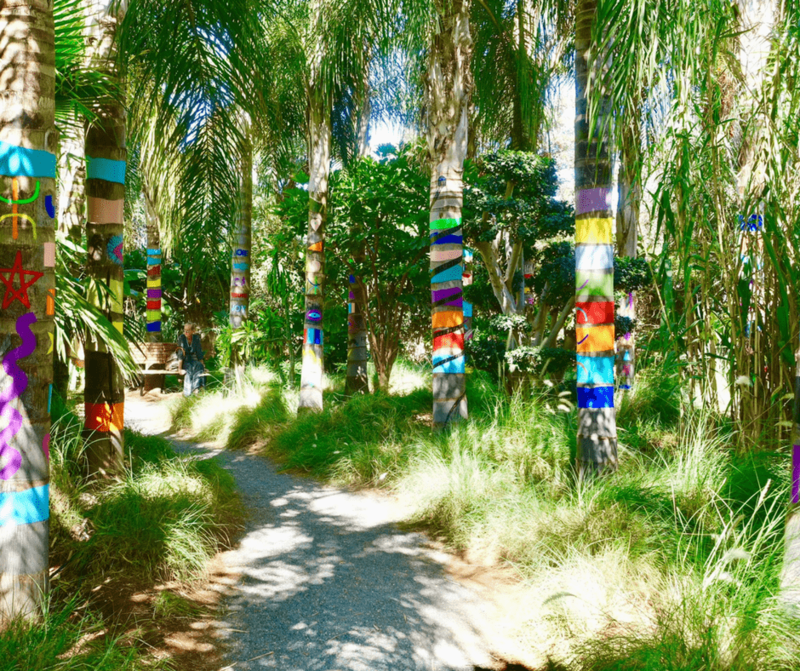 This new garden was created to combine natural fauna of the area with sculpture art. It’s different from Majorelle Garden but any art and garden lovers can appreciate this spot. Anima offers timed entrances so that it’s never too overcrowded. They operate a shuttle too and from the city as well – reservations are required. Contrary to what you might find online, Marrakech is not in the Sahara Desert – it’s not even close. 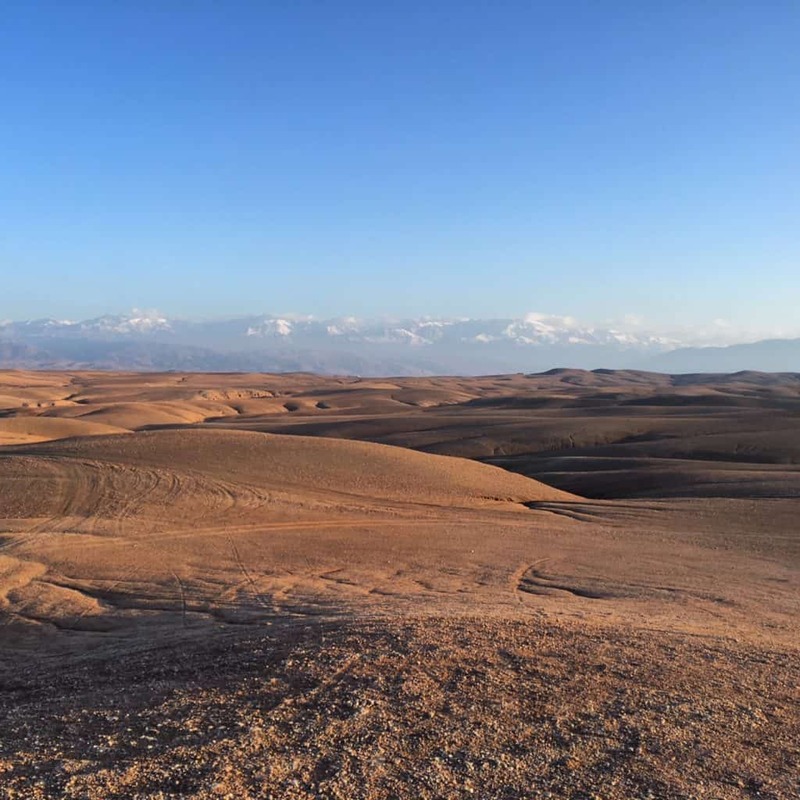 If you’re seeking a desert experience you can visit the Agafay Desert which is just outside Marrakech. Love animals? Pay a visit to Jarjeer mule and donkey refuge. The owners of the refuge wanted to create a space to save the working animals of Marrakech when they were no longer useful to their owners. Sadly, many animals are simply abandoned when they can no longer work but here, they’ve found a home. Visitors can come, be with the animals, or take a walk with them in the foothills. There’s no fee to visit but any donations are welcome to help care for the animals. Located in the village of Imintanoute, this center/family home aims to bring the Berber way of life to the culture savvy visitor. They offer on-site accommodation which is advisable as it’s a long commute to Marrakech. If you want an experience of actually living as a Berber family you’ll want to check this out! Berber Cultural Center. Head high up in the Atlas Mountains to the village of Imlil where you can ride a mule and take in some waterfalls This little village is the starting point for people planning to hike Mount Toubkal, North Africa’s highest mountain. Kasbah Toubkal is a very nice hotel that offers day visits including lunch and a hammam visit. You can also take a day trip to ride mules and have lunch with a local family. Find out more. A favorite escape for Marrakechi’s is a visit to the Ourika Valley. Restaurants line the Ourika River and tajines are made to order. In warm months kids play in the shallow water. If your kids are older you can hike to the waterfalls. There are a series of seven. The first is accessible but the other 6 are much higher and for more experienced hikers. 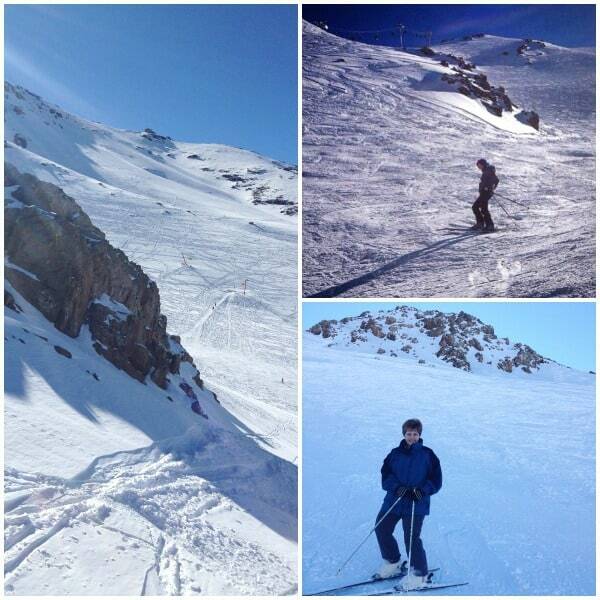 Yes, skiing! In the winter the High Atlas Mountains get considerable snow and one of Morocco’s two ski hills operates here. It’s not world class by any means but if you want to go sledding or skiing in Africa it’s a great opportunity! It’s already scorching hot in Marrakech (and it’s still May) and it will be several more months of high temperatures. For anyone planning to visit during the summer, understanding and preparing for very high temperatures is a must. Just last week a friend asked me, “How do you live here? How do you do this?” The truth is in the summer, I want to get as far away as possible. But, if your plans include a visit to Marrakech from mid-May to mid-September you need to be aware and take care. This is especially true for anyone who is visiting with young children or is a senior citizen – those that are most susceptible to heat related illness. To get you ready, I put together a few ideas to help you enjoy your time here, without getting overheated or sick. This seems obvious but I see visitors all the time walking in and sitting in the direct sunlight for long periods of time. If you pay attention you’ll see that locals will always walk or sit in the shade. If you’re going to be outside, take adequate cover. Most people assume that when it’s very hot, the fewer clothing garments you wear the cooler you’ll be but this isn’t the case. I find that wearing loose fitting longer sleeve shirts (that can be rolled up) and maxi skirts or baggy pants is much cooler than having exposed skin. Clothing made of natural fabrics, like cotton are also the best choice. Wearing this type of clothing also protects your skin from the very severe sun. Make sure to wear a hat to protect your face, sunglasses and cover all exposed surfaces with sunscreen. My suggestions for what to pack for a summer visit to Morocco and what to wear to the pool or beach. The hottest time of the day is in the late afternoon. It’s why you’ll find many things are closed from around 2-5pm. Instead of trying to do something all day long, know that this is a hard time of day and instead plan to have some down time. You’ll want to anyway if you’ve spent time outside in the morning and early afternoon. Drink water regularly throughout the day. It sounds simple, and you’ll probably be thirsty in the heat anyway but always have water available. Luckily you can buy it from just about anywhere but the last thing you want is to be caught somewhere without water. You can very quickly go from feeling alright to having heat stroke. 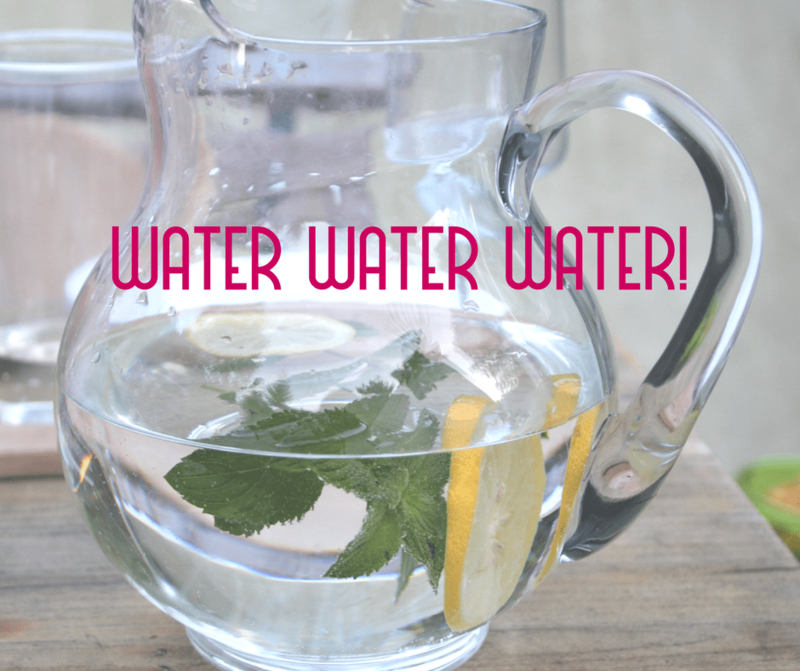 If you do begin to feel overheated or light headed drink as much water as you can. Dehydration happens very fast and can make for a miserable vacation. On this same note, be careful if you are drinking alcohol; when combined with the sun and heat you can also get sick quickly. After a few summers I discovered a secret to staying cool in Marrakech summers. Air conditioners aren’t found everywhere, but it seems when there is one people want to turn it as high as possible. Instead, adjust the temperature to the 24-25C range and let it run. The AC won’t have to work as hard and I have found that it actually makes the room cooler, faster. Don’t try to spend 12 hours a day outside, or you will suffer. Instead go outdoors for spurts of time and mix your day with inside and outside activities. Have an extended lunch in a beautiful, indoor setting and then set out again. Trying to spend too much time outside will only serve to exhaust you. When there are no lights on the temperature is naturally lower but this also should be considered for windows. If you’re staying in a riad, keep the windows to your room closed, with the curtains drawn during the day. This will help keep the cool temperatures inside the room. This is a fun suggestion – of course there’s no better way to spend a hot day than at the pool. Even if the riad or hotel where you’re staying doesn’t have a pool there are plenty of places in Marrakech that have day passes for swimming pools, many with an optional lunch as well. 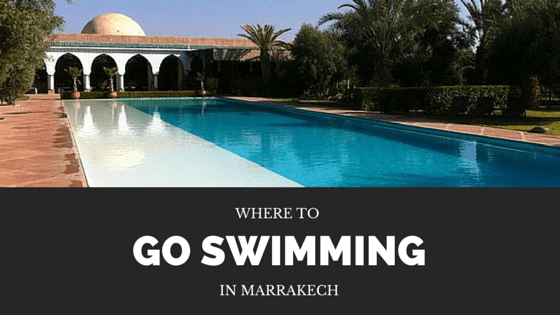 Find out where to go swimming in Marrakech. When you get too hot there are a few ways to cool down quickly. First, get out of the sun immediately. Next, wet a washcloth or some other fabric with cold water and put it on the back of your neck. If you can get in a cold shower to lower your body temperature. If you can’t seem to cool down you could have heat exhaustion or heat stroke, the later being the most serious. In both cases you should try to immediately cool down (or cool down the person you assume is ill). For more serious heat stroke, immediate medical attention should be sought. 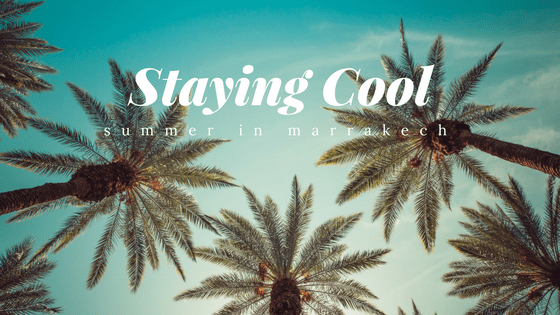 It is highly advisable to read up on both of these conditions before traveling to a destination like Marrakech that has extreme summer temperatures. Stay safe and cool when you visit this summer and if the heat gets to be too much, head to one of Morocco’s coastal towns or plan a day in the Atlas Mountains where temperatures will be much different. So you’re planning a trip to Marrakech and you can’t wait to see the hustle and bustle of Djemma el Fna. That’s fantastic. I love hanging out in the square because of its vibrant energy from all the tourists and locals interacting in the shops, the stalls, and practically every corner. 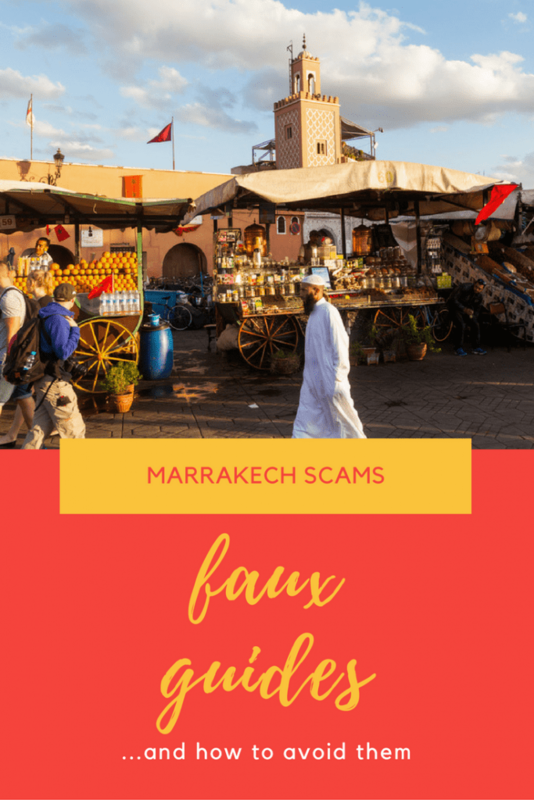 But there are some common scams that take place in the square and generally can be found in the Medina that can leave tourists with a bad experience in Marrakech. Today I want to describe to you a major scam that you find ALL. THE. TIME. Faux Guides. Faux guides are individuals who try to scam unsuspecting tourists in a few ways. Official tour guides are supposed to wear a badge on their clothes that indicates that they are certified national tour guides and are allowed to help tourists. 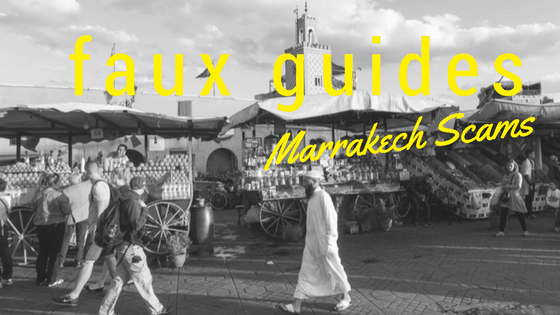 Often you’ll find the official guides near the square or you can ask your riad/hotel to hire or recommend one for you. There are even some guides now that are online and actively promoting their services. If you’re not sure where they are, you can simply stop a police officer and they will bring you directly to them. How do you know someone is a faux guide? First of all, if you are walking around Djemma el Fna and you are trying to find your hotel, hostel or riad on your own, they will spot you and try to get you to “follow them to bring you to your hotel.” They might take you an extra-long way so it looks as if they brought you a long distance and then they will expect you to give them money for bringing you there. If it was just a couple of dirhams, I’d say that’s not a bad deal but these guys ask for 150-200 dirhams just to take you around the block. The second situation you will find a faux guide is when you’re walking around the Medina and either looking for something or just strolling and people will whisper or shout, “Looking for the Square? Come this way? Want to go to the spice souk? I’ll help you. Are you lost? I can bring you (insert location here).” Now sometimes you will find that people are being genuinely kind and want to help you if you are lost. But often times, they just want money. A third situation in which you will find a faux guide is when someone you meet tells you they know a shop where you can find the best prices for carpets/blankets/ceramics/spices/etc. Unless you know the person recommending the place to you, more often than not this location doesn’t have the “best prices” and the guide gets a commission from you spending money there. Also, you can find yourself in this situation when you agree to let a faux guide take you around the Medina and they “just happen” to be near their friends’ shop so why don’t you go in. A final situation is when someone straight out offers to give you a tour of the city. Any guide that works with tourists needs to be licensed. They will have a very obvious badge that they wear. Then, how do I avoid them? Well, here are my suggestions. Don’t walk around with a map of the Medina/Marrakech. You can have it with you to check when you’re indoors as a back-up but if people see you and your company with a city map, you will automatically be a target. It basically makes you look lost…not a good look here. Second, don’t ask for directions from a group of young boys/men. Young boys/men are most often faux guides. They are usually just hanging out, with not much to do so some try to make some extra cash by hustling tourists who don’t know better. Those were the “don’ts” so what are the “dos”? If you’ve never been to the location where you will be staying, ask your accommodation to arrange a pick up for you from the airport or train station. If you try to be more independent and arrive to Djemma el Fna yourself or are looking for a landmark or tourist location, then seek out a standing police officers to ask for directions. You can also ask café or hotel workers for directions. 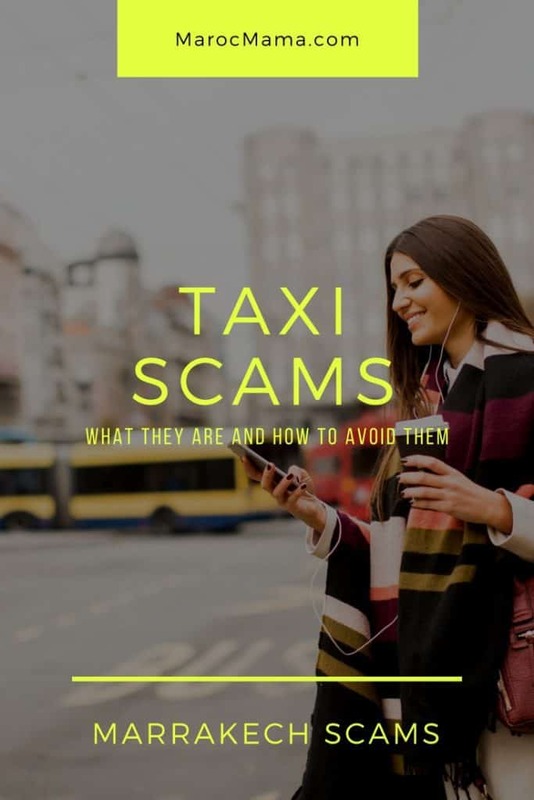 They will most likely speak some English, French, or Spanish and are less likely to scam you. There you have it, my tips and tricks to spot a faux guide and how to avoid them! 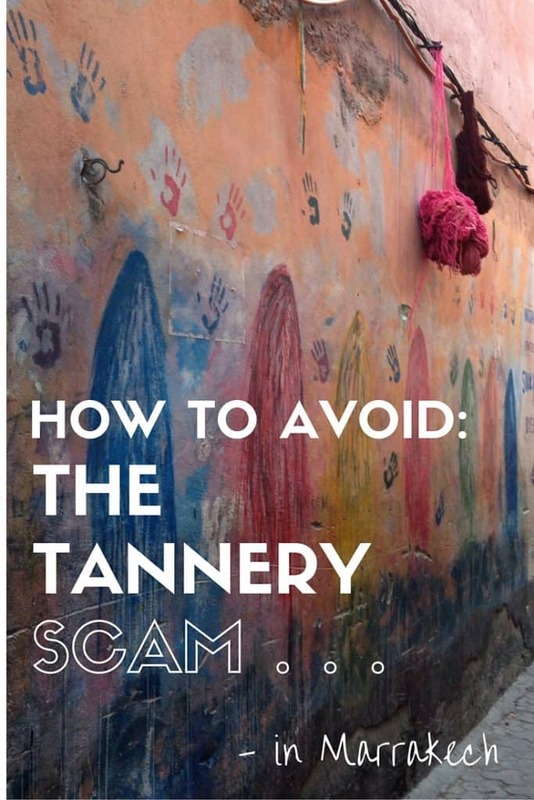 I hope these tips will help you avoid an unwanted encounter with faux guides and let you enjoy Marrakech the way locals and us expats living here do. Have you encountered a faux guide before? 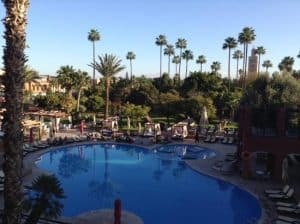 Looking for the other posts in this series on scams to avoid in Marrakech?